The cards can be store bought or hand made. 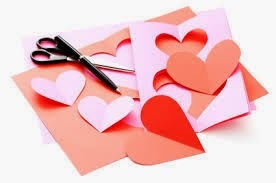 I will have some construction paper, stickers, scissors, card stock and glue sticks. Please feel free to bring any of the above items or pens, pencils, markers, or crayon. No paint, glitter, or liquid glue please. I will have some table clothes, but we need to make sure we don't use anything too messy. Also, feel free to make cards at home and bring them to the Card Making Event. Please join the iServe Facebook page to RSVP and for details on location of event http://www.alabamahomeschooling.com/2011/09/iserve-homeschool-service-club.html .